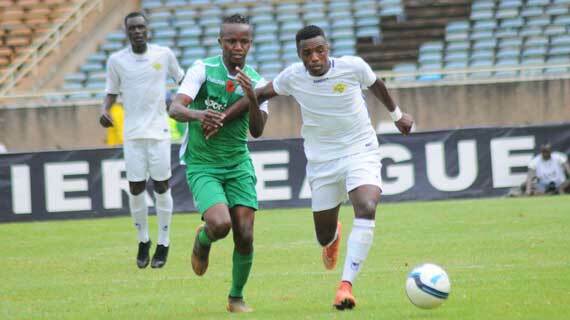 With new coach Hassan Oktay watching from the stands, Kenyan Premier League champions Gor Mahia suffered a 1-0 defeat at the hands of Kariobangi Sharks in the season-opening KPL Super Cup at the Kasarani Stadium on Sunday afternoon. Sidney Lokale’s well taken 52nd minute goal proved the difference as the reigning league champions started off their domestic campaign on a foul footing. With the CAF Champions League return leg tie against Malawi’s Nyasa Big Bullets coming up on Wednesday, stand-in coach Zedekiah Otieno who is expected to remain in charge for the trip has a lot to do on his plate. But K’Ogalo will have only themselves to blame especially after missing good chances in either half. Francis Mustafa had the first chance after six minutes when he was sent through on goal by George Odhiambo, but he took a heavy first touch and his eventual shot at goal was under pressure and he huffed it wide. The Burundian had another chance in the 14th minute when he took advantage of a short back pass from defender Tom Teka back to his keeper, but his effort went wide. Gor continued to dominate, creating chances but they still couldn’t finish. In the 38th minute, Odhiambo was teed up by Bernard Ondiek from good shooting range, but his effort was wide, even with acres of space ahead of him. Sharks boss William Muluya made an early change, pulling out Fidel Origa for would-be goal scorer Lokale with three minutes left to the break. Sharks could have gone to the breather one up when George Abege was sent through on goal, but his effort was pale and saved by keeper Boniface Oluoch. At the start of the second half, Gor made attacking changes, Nicholas Kipkurui and Ephraim Guikan coming in for Ondiek and Mustafa. But, it was the domestic cup winners who would break the deadlock and do so in superb fashion. Lokale picked the ball at the edge of the box, dummied past Ernest Wendo and Joash Onyango before striking a superb left foot shot past Oluoch. Immediately after going behind, Gor almost got back into the game when Guikan forced Sharks keeper Brian Bwire to a brilliant save parrying the ball away after he had glanced a header off Onyango’s overhead kick from the edge of the area. On the other end after an hour, Harrison Mwendwa should have buried the game for Sharks when he was sent through on goal by Abege, but his eventual shot went wide. Bwire in Sharks’ goal was called into another beautiful save on the 65th minute when he dived full stretch to his left to parry away a stinging shot from Guikan as Gor rallied to get a goal back. With the clock ticking, Zico brought in Erisa Ssekisambu for defender Philemon Otieno. The Ugandan should have created Gor’s equalizer in added time when Bwire’s punch from a cross fell on his arms, but his pass to Boniface Omondi at the edge of the six yard box was wayward with a gaping goalmouth.